Ford's late-month incentives on the Focus, pictured, and other models helped drive expected May sales gains. DETROIT -- Ford Motor Co.'s chief sales analyst expects the U.S. industry's annual sales rate to top 11.1 million vehicles in May, the third straight month above that mark. The year's strongest month so far was March, when the seasonally adjusted annual sales rate reached 11.7 million. The industry dropped to an 11.5 million pace in April. May results will be released June 2. Edmunds.com predicts a SAAR of 11.4 million vehicles for May -- above Ford's forecast. Ford's light-vehicle sales will increase over the year-earlier month, Pipas said, extending the automaker's streak of monthly advances to eight. For the first six months of last year, the SAAR was below 9 million. Annual sales for the past decade through 2008 averaged 16.4 million. May sales will be supported by the 2011 Super Duty pickup truck and the Fusion sedan, Pipas said Friday. “I think the Fusion will have another record sales month,” Pipas said.. Sales of the redesigned 2010 Fusion are up 50 percent from a year earlier through April at 70,382 . 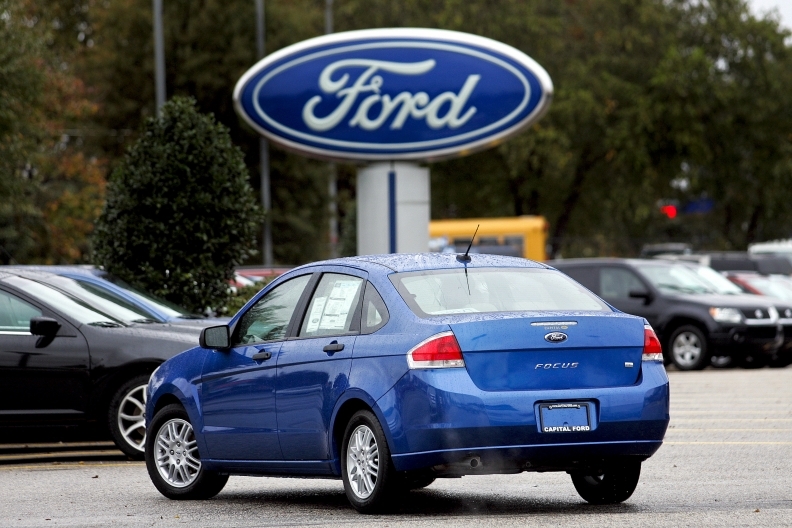 Ford's May market share will exceed last year's in total sales and retail, Pipas said. In May 2009, Ford's total share was 16.6 percent and its retail share was 13.6 percent, Pipas said. Ford just started building the all new 2011 Fiesta compact. Pipas said most U.S. dealerships won't get them until late June or July.